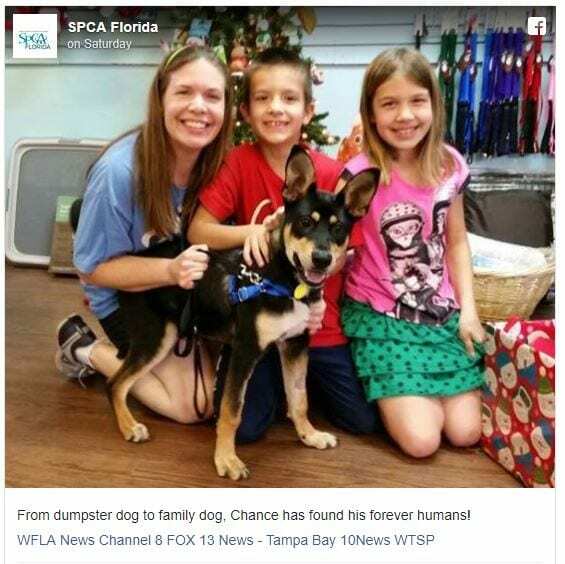 Last week we told you about Chance, a Florida dog found alive in a dumpster. An employee at a Plant City shopping center discovered the dog while taking out the trash and he was whisked off to the vets at the Florida SPCA. After several shaky days, however, it became clear that the pup — who had a fever of 107 when he was taken in — was going to make it. 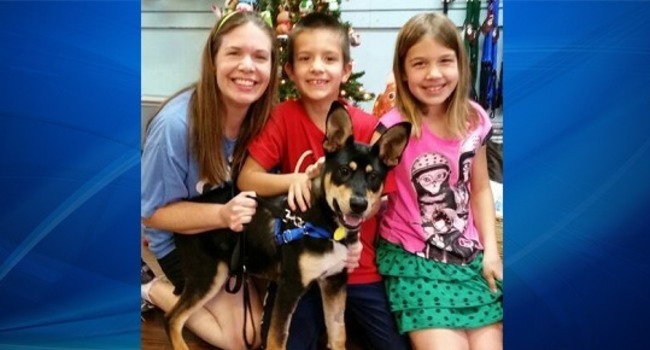 And now Chance, with a clean bill of health, has found his forever family! “From dumpster dog to family dog, Chance has found his forever humans,” the organization’s Facebook post read. Chance found a home for the holidays this year, and all the rest to come! 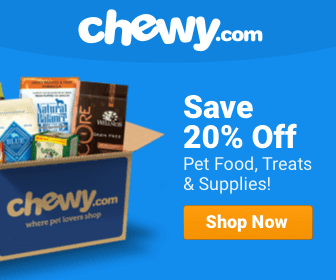 WATCH: Christmas Weenies On Parade! How wonderful! I have ten dogs and love everyone of them to pieces! Good for you. His new family looks like All Three will be very vested in seeing that Chance has a good and loving home as IT SHOULD BE!! !